Please list the location, phone number, and website. 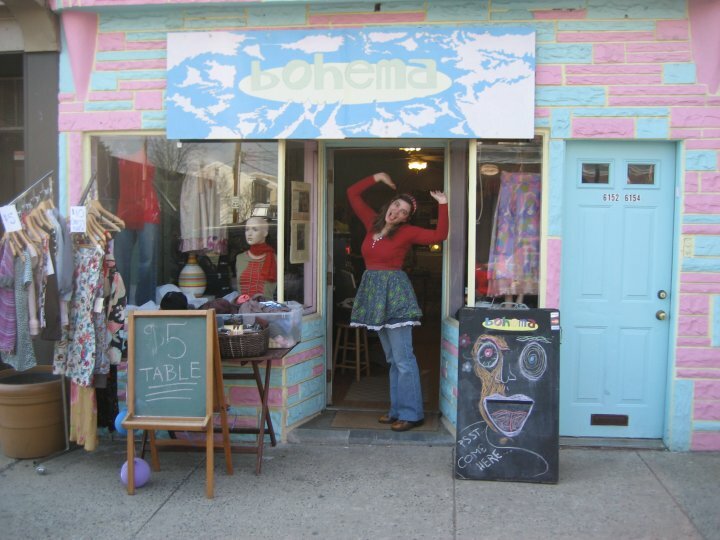 bohema is a colorful little boutique in the Roxborough section of Philadelphia, packed with unique merchandise, fair prices and personal service. When you come here, you can expect to find one-of-a-kind, handcrafted women’s clothing, jewelry, accessories and gift items. You will also find overseas imports, repurposed items, vintage clothing from 1950s-1990s,, and gently worn 2nd hand clothing at low prices. Whether you are looking for a stand-out look, savings, or both, we can accommodate. It’s more about defining your personal style than following trend to the letter. I want you to leave with a look that makes you feel confident and comfortable. 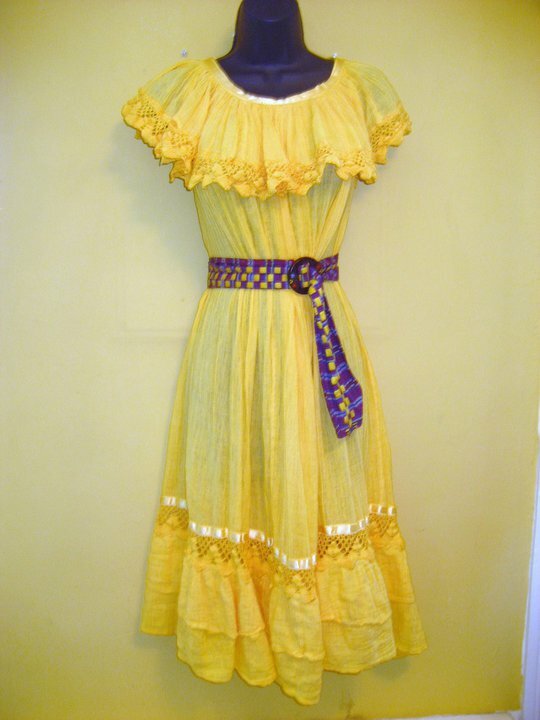 If you are interested in consigning your creations at bohema, please email me at [email protected]. Please include photos of your work and a general idea of your pricing. I will be happy to send you a copy of my consignment policy for you to look over. I have always wanted to open my own business but it always seemed like a “dream.” I ended up with the opportunity to start my business when my grandmother was considering retiring from her 17 year career as the owner and operator of her own second-hand store. I was really unhappy with my job at the time and talked with my family about my ideas for taking over my grandmother’s business and “revamping” a little bit. Encouragement from family members made me feel like the concept was no longer a “dream”, and could actually materialize into reality. I’ve always been a creative person but I lack the technical patience needed to produce a well made, marketable product. So, I have always known that I wanted to be involved in a creative field in some other capacity. My degree is in communications and I spent 10 years in management. So this is my way of using those skills to promote the independent artist. In retrospect, I probably would have sought out funding a little differently that what I did. I used my savings for start-up. I should have taken out a loan with my savings as collateral, but these are the things you don’t know until you look back! But, when I first opened, I would say I was about 80% consignment, which meant that I did not pay for merchandise unless it sold. So, that enabled me to fill the store with merchandise and reserve my capital for other start up costs. Over the past 2 years I have been focusing on building my own inventory weekly. I still want to keep the hand-crafted element prominent, but purchasing merchandise is more profitable and that is how I am growing the business. So now I am about 50% consignment and 50% purchasing and I probably have twice as much merchandise as I did when I opened. When it comes to marketing, I like to step out of the box. Advertising is very expensive and, to be effective, is a long term commitment. I would rather find ways to promote that have immediate and measurable results. My business largely centers around making personal connections with my customers and I like to market that way too. Facebook has become my primary tool. I try to post pictures of new items daily and I would say that I make at least 3 sales per week as a result of just doing that. It also has brought a lot of new people into the store because they see something on a friend’s page or they follow my postings. It’s interactive and a great way to publicize events and sales with a personal touch. I also send out weekly emails and try to collect phone numbers and personal preferences so I can cater to my customers better. And I do different events each month aimed to bring new people to the store. Right now I am the sole employee. In the future, I would like to be able to bring someone in, or send someone out to do craft shows and in-home shopping parties. I used to manage people and it is actually something that I do not enjoy at all. So, if I did bring someone into the business, it would have to be someone that I know and trust really well and who has similar sensibilities to me. Time management is a big one. I love my job, but sometimes I forget to stop working. I find myself going home and jumping into paperwork and next thing I know it’s the middle of the night. That leads to burn out. So, every few months I make a point of looking at what I am doing for the business, what is working, and what is not. If it works, keep doing it and if it doesn’t, either stop doing it or make changes. Of course, money is the big one. There’s never enough for all the things I want to do and it is stressful to leave your weekly earnings in the hands of the public. Some weeks are good and some are not, but you just don’t know what you’ll get. I have heard that one should not go into a business with less that 6 months living expenses in reserve. I have also heard it takes 3-5 years until a business starts making profit. This is not a joke- be ready. I love the idea of being a part of the community. Roxborough is in a state of regentrification and I am really excited to be a part of that. I have made some really close friends since I have been here and met so many great people, and most of them live in this community. I love being able to walk down the street and greet 5 people by name. Since I have been here, I have seen a lot of change in the attitude of Ridge Avenue. More people are strolling, walking their dogs, and more people are smiling. I’m not saying that it is because of bohema, but the more progressive business owners agree that you attract what you put out, and we are trying to operate on that premise. Before I started bohema, I found it really difficult to have a quality personal life. I was at work all the time, and when I wasn’t, I was exhausted. If I did manage to find time for family or friends, I felt like I needed to rush through it. That was the major reason that I left my last job. I realized that the quality of my life was suffering. Of course, like I said, I still work all the time. But the environment is so different. If I want to sit down and eat lunch with a friend, we can do that here. Getting away is tough, but in general, I feel much more relaxed. 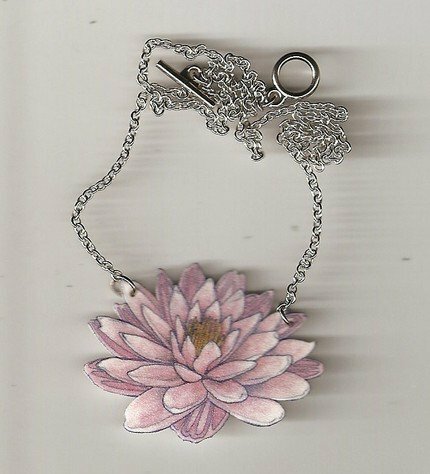 Promo for ShalenaDiva.com readers: 15% Off your first purchase- Just mention this blog! oooo…I love the one-shoulder dress! I want it…how can I get it? Hi Mai- Thanks so much for your interest! It’s a magic wrap- are you familiar with them? They are these awesomely designed wrap skirts that come with instructions for 100 different ways to wear. There are several others pictured on my facebook page- “bohema philly”. Call me at the shop and I’ll give ya the full scoop. I can ship too if you aren’t local. Thanks!! Mai, Ali has such cute stuff! I will check out her store tomorrow and she what she has. What size are you? Maybe I can ourchase it for you and mail it to you. You can hit me up via paypal. She alwasy has nice dresses like that. Last week it was buy one, get one free. I’ll keep my eye out for you. I have always wanted to own a small boutique (second hand clothing)! Its been a long time dream of mines (besides writing). Your business sounds wonderful. Do you have any advice as far starting a second store? Me, too! I’d love to own a second hand store. I have several ideas. Ali, what should a person who wants to start a store like yours do to get started? Anya, we have to visit her store on a Saturday and check it out. I really like it and you will too because I know your taste. Ali’s very nice, too. 1. Think about your customers as well as your own taste- I wanted to have a store full of stuff that I would want- but that is not neccessarily what others want. It took me a while to figure out who my market would be and how to accomodate them without compromising what I want to do. When I make decisions about bringing in merchandise, I use both as a criteria. I try to picture a specific customer who might be particularly into a given item. Also, if it isn’t something I would want for myself, forget it. 2. Anything that sounds like it might work- might work- try it! 3. Expect to learn by making mistakes. You learn as you go. I had practically no knowlege of this business until I started. I planned my first fashion show without ever having even attended a fashion show! Ali, Have you ever considered doing a video on the wrap dress? If you decide to do one or have one, let me know so I can upload it in your post. I’m seriously considering getting one. Thanks so much for your advice! Is it okay to contact you if I have other questions as I try to get my ideas/business plan together?